Want to sell scrap gold in Chula Vista? You may have scrap gold that you don’t necessarily need; however, do you know how much to sell it for? Gold prices vary all the time and our professional staff will know how to evaluate it correctly. If you are thinking of getting rid of your unwanted scrap gold then be sure to visit us, that way you get the cash you were looking for. How can you sell your gold? and where can you get the best and highest price for your gold without being ripped off? As scrap gold buyers in Chula Vista, we are ready to weigh your items, determine how many karats your gold is and give you a cash offer on the spot. 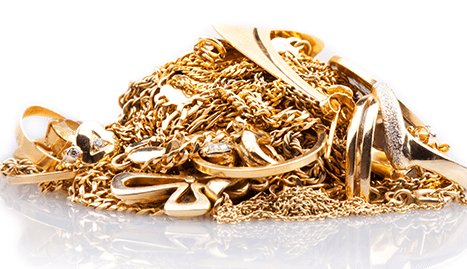 For quick selling of your scrap gold at high payouts call us today or stop in at the Chula Vista Jewelry Exchange and receive cash for scrap gold on the spot. Buy, Sell & Trade Jewelry your scrap gold that is very valuable to us. The best location to get rid of your unwated scrap gold is here at our location. We pay the high cash for scrap gold in all of San Diego. We offer the high cash for all types of scrap gold!